Hey, everyone! Today is our 100th post on SGH! How cool is that?? I asked some people the other day if they wanted to pick a hairstyle for me to do this week. 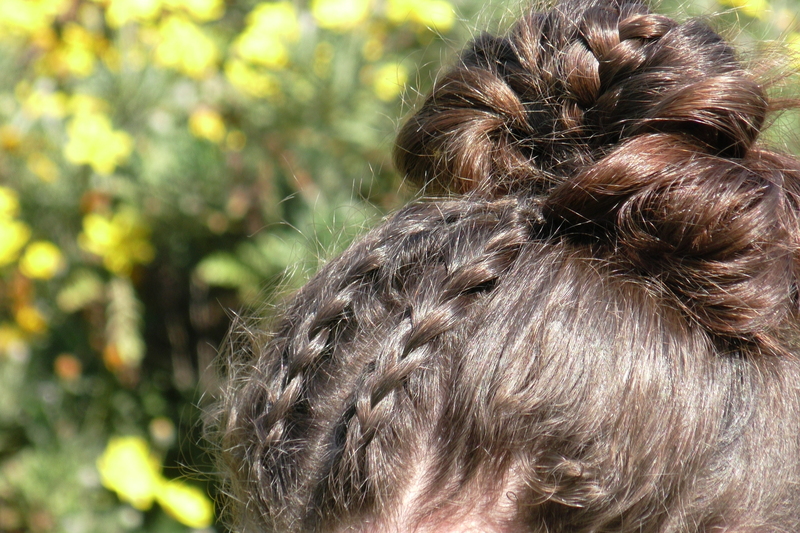 Several asked for some kind of bun/messy bun, and a few others had shown me pictures of hairstyles including dutch braids, so I thought, why not incorporate all those into one cute hairstyle! 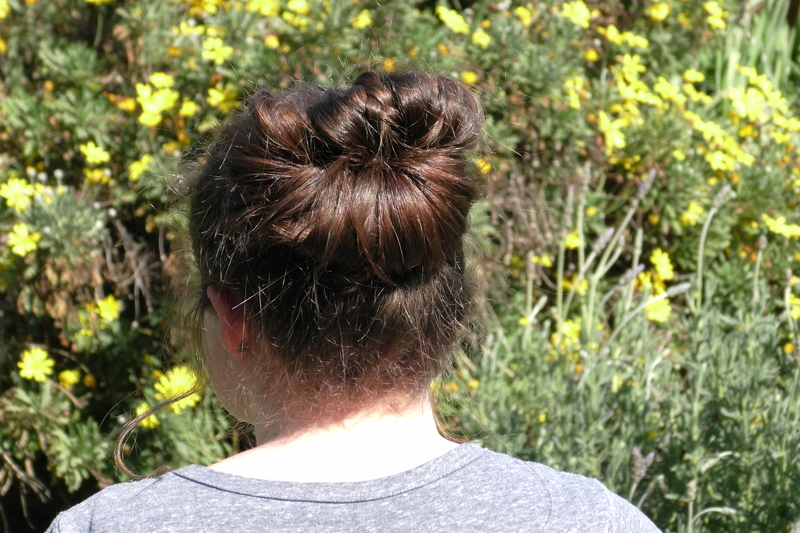 You can do the bun with the braids, or without, and it still looks cute! 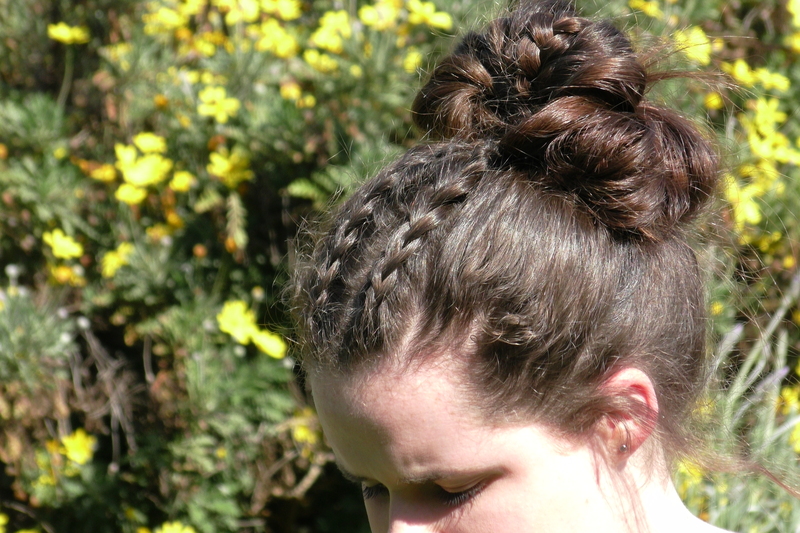 I preferred it with the braids though, just to add a little extra something to it. Split the section down the middle and clip one half out of the way for now..
Do a small dutch braid straight back until you run out of hair continue with a normal plait at least half-way down, and tie off with a small rubber elastic..
Un-clip the other section and repeat step 3..
Once you have both braids done, go back a loosen them a little to make them look a little bit more messy and relaxed..
Now gather all your hair up into a ponytail, but on the last pass through the hair tie only take the hair about half-way through and stop there.. Gather the remaining hair left and flip up and tuck all of it into the hair tie (refer to video), just keep tucking and tugging your hair around until you get it to the way you like it..
Then add a couple of bobby pins if you need them, and you’re done! I hope you liked this quick and easy hairstyle, let me know down in the comments if you try it out, and here are a few more pics of the final look! What would you wear this hairstyle for? It would be great for most occasions in my opinion, and I think it could be good for sport too, because the bun is surprisingly secure! Thanks Therese! I’m glad you like it! Thanks Madeline, glad you like it! Love it girl! Awesome job! I think this will be my new favorite hairstyle! soooo cute! i’ll try it out! 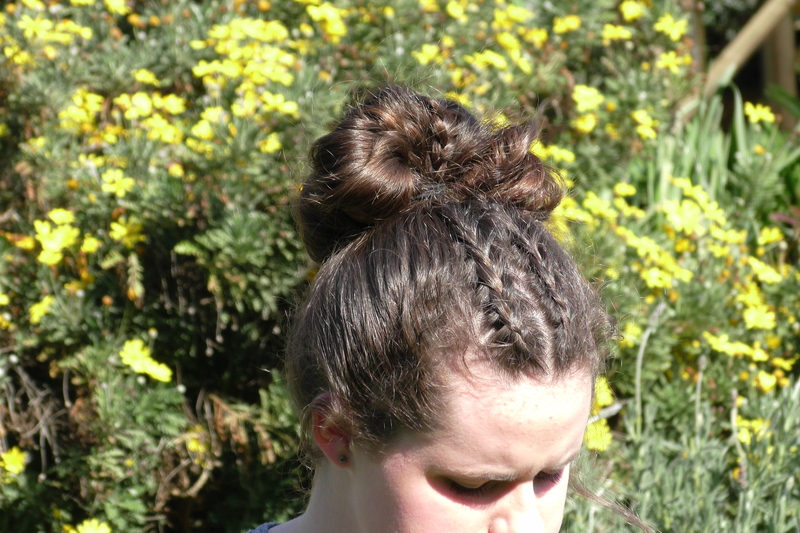 this hairstyle is really pretty, Clare! great job!